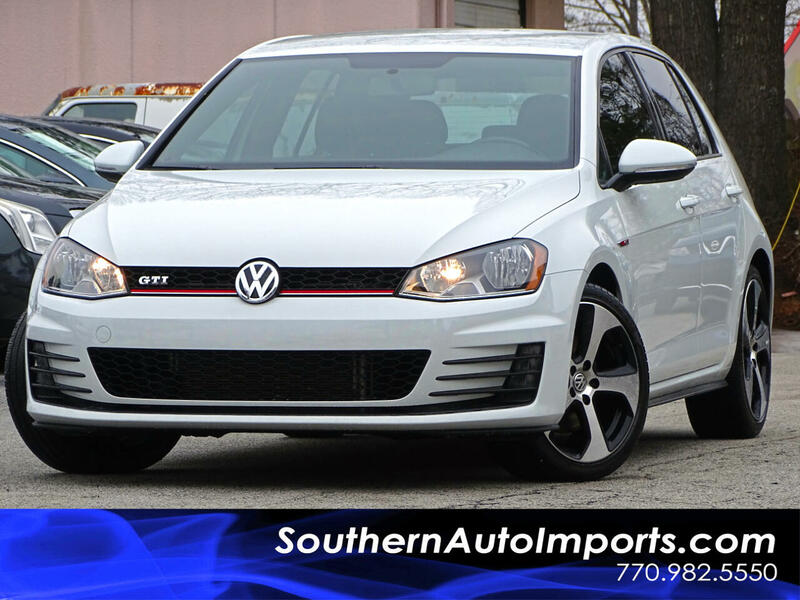 **GTI S 2.0L TURBOCHARGED**CALL US TODAY AT 7709825550 TO GET THIS GTI TODAY** BACK UP CAMERA . AUTOMATIC TRANSMISSION. HEATED SEATS . AM/FM STEREO . AUTOMATIC HEADLIGHTS . AUX INPUT . CD PLAYER . BLUETOOTH CONNECTION . DAYTIME RUNNING LED'S . TRACTION CONTROL . ABS BRAKES . POWER DRIVER SEAT . DRIVE SELECT MODE . PWR MIRRORS, WINDOW & LOCKS . SATELLITE RADIO . WHITE ON BLACK INTERIOR CLOTH SEATS . MP3 PLAYER . REAR SPOILER, REAR WIPER & MANY MORE OPTIONS CALL US NOW! !